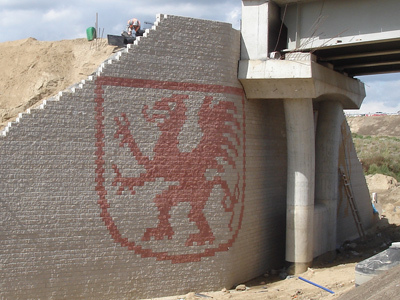 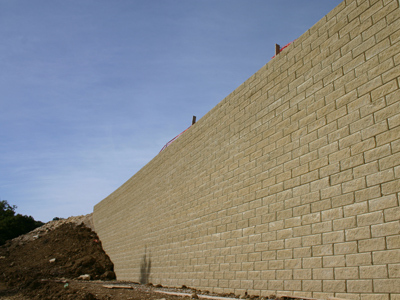 The Tenax T-Block system is used to build reinforced soil block walls and is a good alternative to traditional reinforced concrete walls. 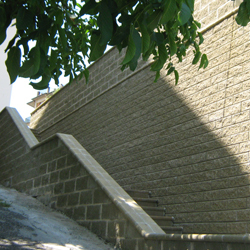 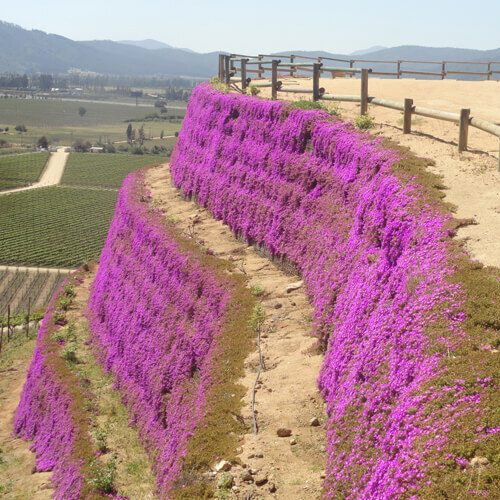 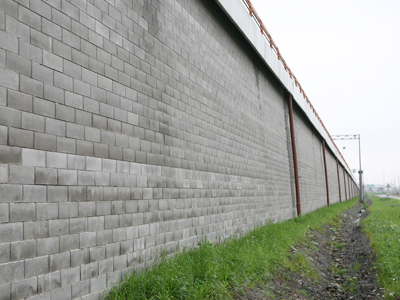 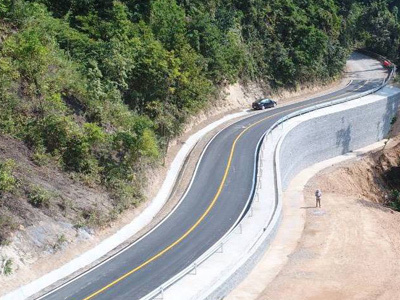 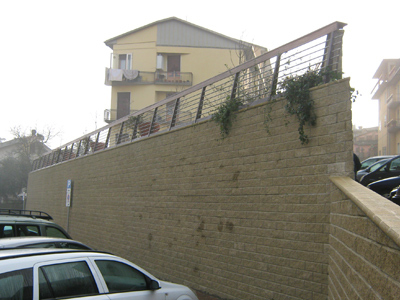 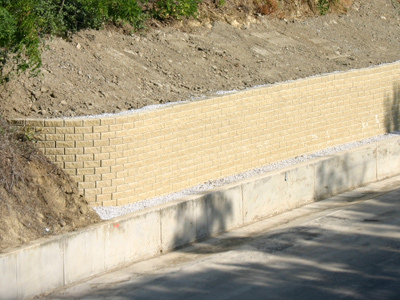 It can be used for retaining walls, road and railway embankments, and slope enlargement. 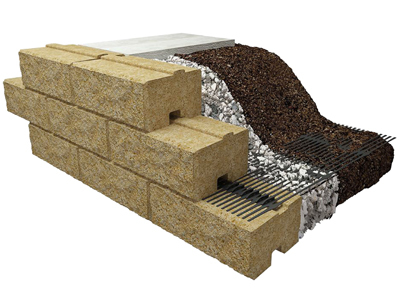 The T-Block system is dry laid, does not require skilled workforce or particular machinery and it adapts to bends. 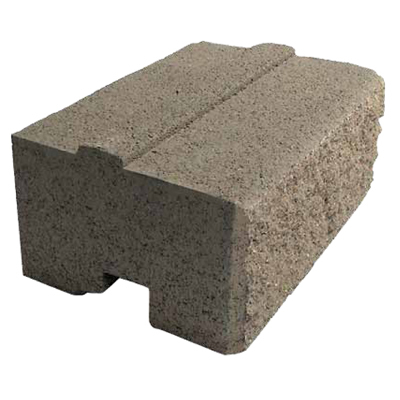 The precast vibro-compressed concrete blocks have an unplastered finish, are available in different colours and are attached to the Tenax TT reinforcement geogrids through Tenax T-CLIP connectors that provide a mechanical connection between the elements. 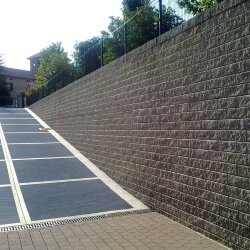 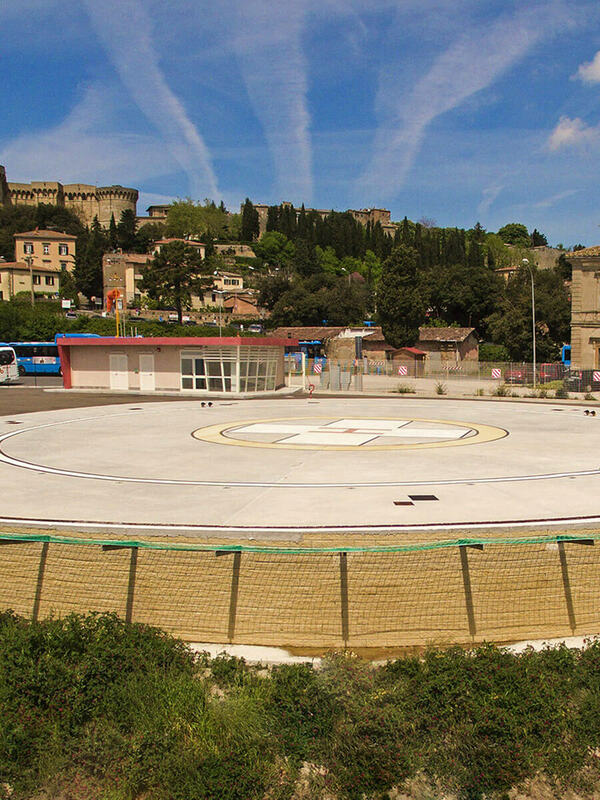 The Tenax T-BLOCK system does not require maintenance and is designed for minimum 120 years service life thanks to the reinforcement HDPE geogrids and to the blocks that are waterproof, frost-proof and fire-resistant. 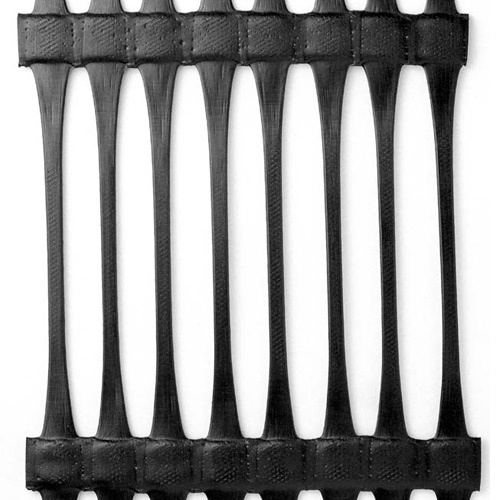 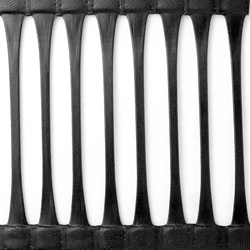 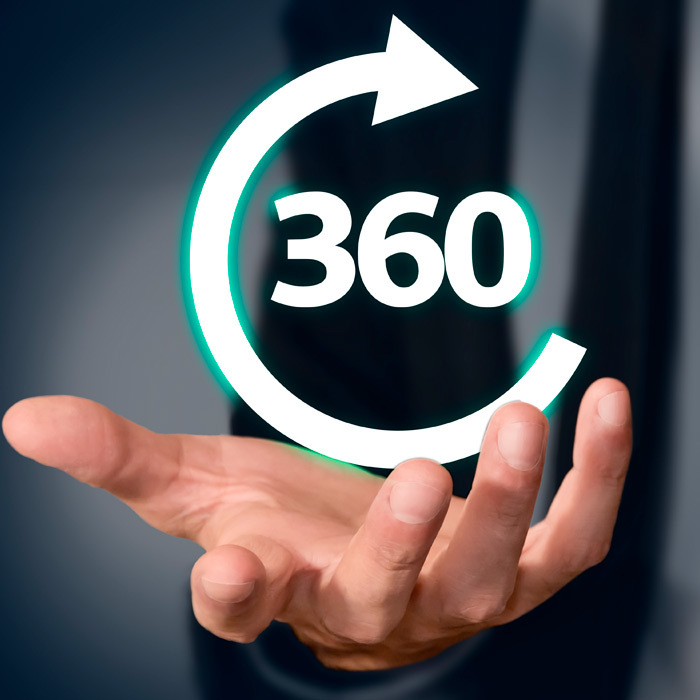 The reinforcement element is constituted by the Tenax TT uniaxial extruded geogrids in HDPE which interact with the soil and improve its mechanical performance. 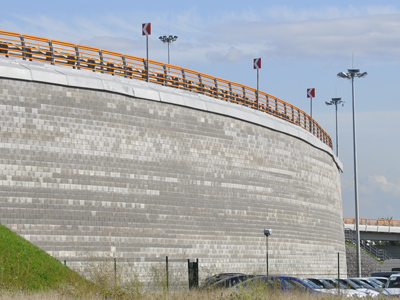 The soil-geogrid structure combines the compressive strength of the soil with the tensile strength of the geogrid, creating a material with improved characteristics. 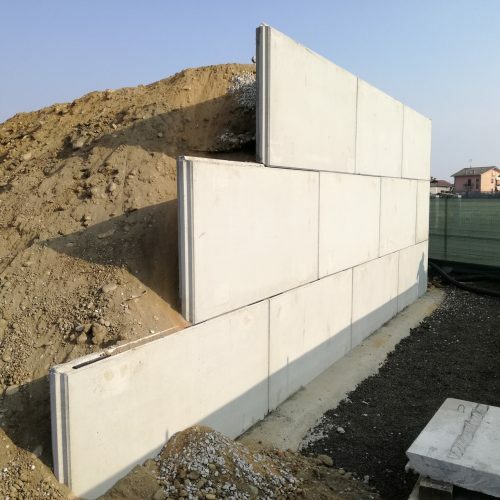 On the face, the T-Block vibro-compressed blocks, available in different colours, are mechanically attached to the reinforcement geogrids through the T-Clip connectors. 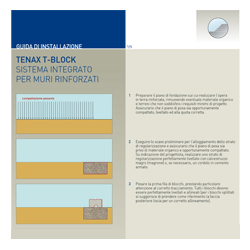 The patented T-Clip connectors deliver a mechanical connection between the Tenax TT reinforcement geogrids and the T-Block face units. 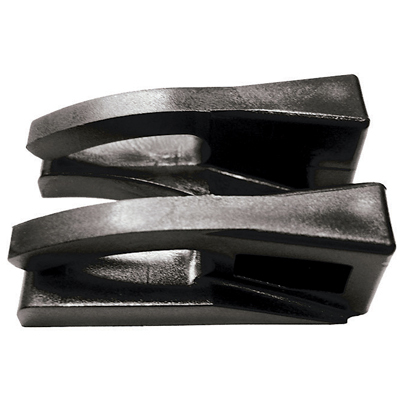 The mechanical connection provides better performance than the frictional connection and has undergone specific laboratory testing. 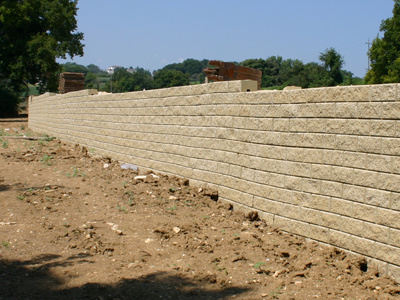 Faces with split unplastered finish can be constructed thanks to T-Block modular blocks, which ensure high resistance to static and dynamic stress transmitted by soil. 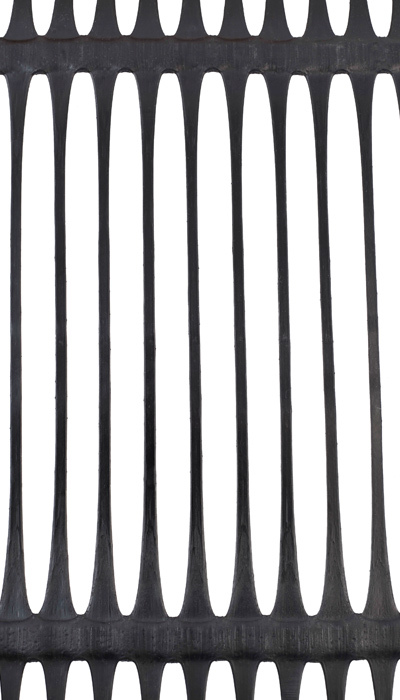 They are available in different colours.